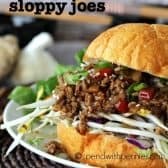 This is a delicious and unique twist on traditional sloppy joes! 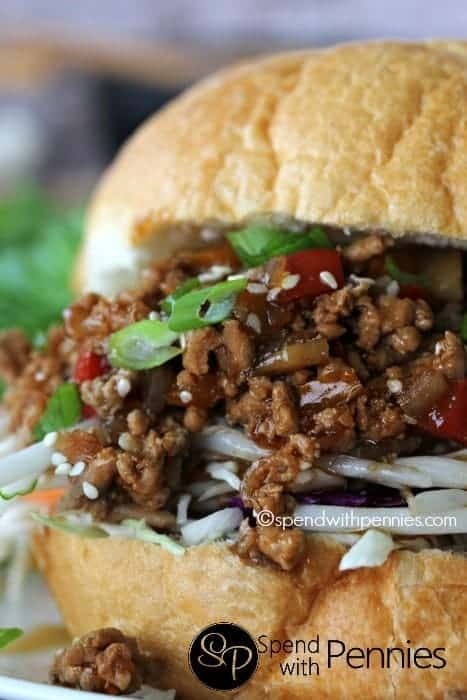 Lean ground pork is cooked up with a wonderful Asian inspired sauce and piled high on soft rolls! 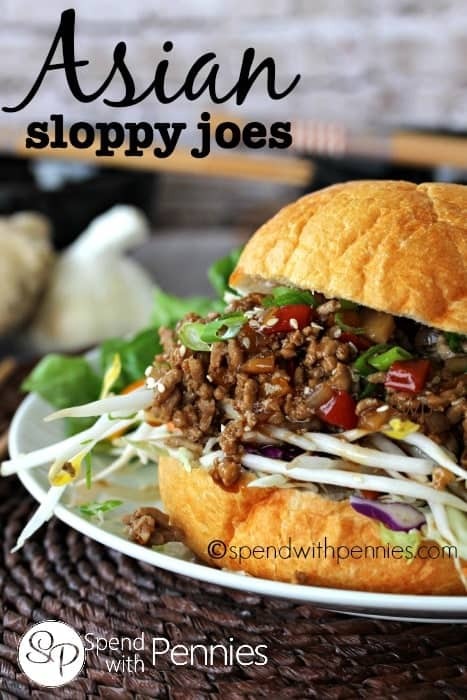 I add fresh coleslaw mix and bean sprouts to mine but these yummy sammies taste great topped with any fresh crispy veggie including julienned cucumbers, shredded carrots or napa cabbage! 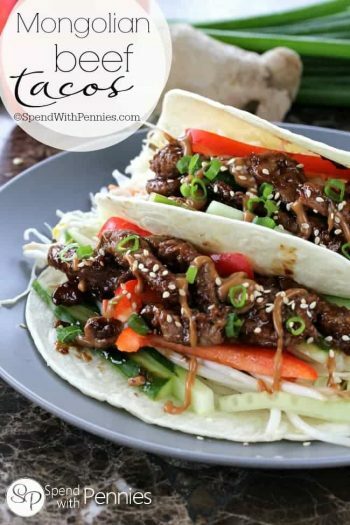 If you are not familiar with hoisin sauce, it is a sweet delicious Asian barbecue sauce. I personally love it for all kinds of things including marinating chicken! 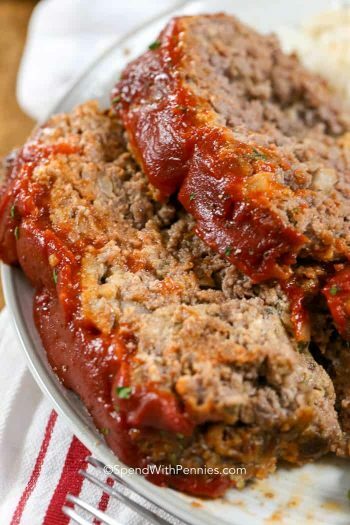 A deliciously unique twist on traditional sloppy joes! Combine sauce ingredients in a bowl and set aside. In a large pan brown ground pork, onion, garlic and ginger. Drain any fat. Coarsely chop water chestnuts and add to the pork mixture along with peppers. Cook over medium high about 2 minutes. Give the sauce ingredients a quick stir and add to the pork mixture. Bring to a boil and reduce heat to medium. Let bubble 7-9 minutes or until thickened. To serve, place 1/8 of the cabbage/coleslaw & bean sprouts on each roll. Top with the pork mixture and garnish with sliced scallions and sesame seeds.